You must have read about our experience at this cosy little cottage here, but this list is incomplete without it! While it isn’t your snazzy resort, the few mud-brown cottages sit pretty on one end of Om Beach itself, so you’re never far from the surf and sand. We’d also check in here simply because of their amazing crepes. Oh my, what a slice of heaven this is. Naturally, it doesn’t come cheap but if the coffers are well filled, then SwaSwara is a fabulous option. Ideal for the soul searching and yoga focussed traveller, the entire concept here is wellness, from the food (made following Yoga, Naturopathy and Ayurveda principles) to the wonderful Yogashalas. In fact, you have to stay a minimum of five days. We absolutely fell for the art studio where you can indulge in pottery or painting – to let out stress, you see. 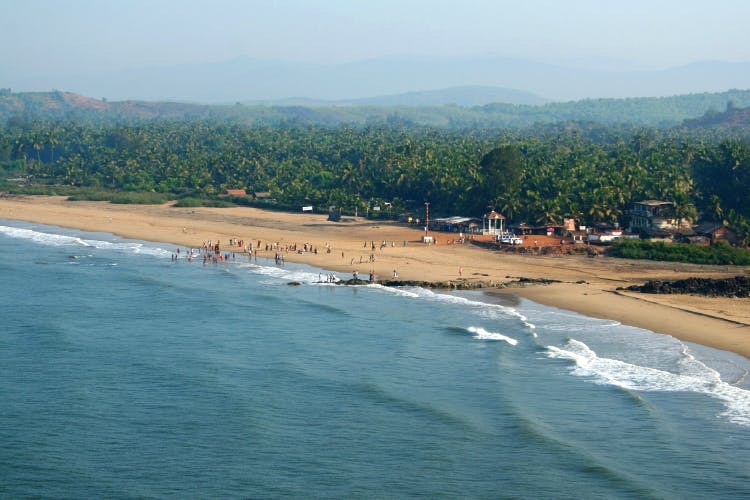 Quite a retreat, the Konkan cottages too blend tradition and luxury. Think brick walls, outdoor showers and yoga decks. It is our belief that this is where we might find Nirvana! Possible in the swimming pool. Calling itself a luxury homestay, Suragi sits a little further away from the main beaches but along the coast still. There are four rooms, all decked out in different colours, and while they’re comfortable and clean, don’t expect luxury as the name otherwise suggests. Smack on the beach, rustic, with pool tables and plenty of fresh air, Kudle Ocean Front is just how we like it. The multiple cottages are lined up just off the coast, and with coconut trees looming overhead, we’re just happy with to sit on the little patio of our rooms with beer in hand. There’s also an Ayurvedic spa in-house if you really want to unwind in style. Plus, hammocks dotting the open space — what more do you need, eh? Price: INR 2,000 upwards for non-AC and INR 2,500 for AC rooms.